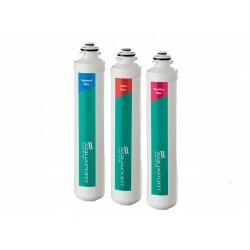 We stock a full range of Aquaport replacement water filter cartridges. We stock an extensive range for the systems supplied by retailers such as Bunnings and harvey norman. 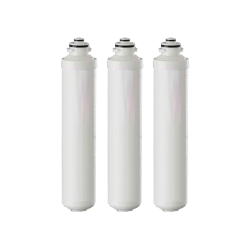 1 x 3 Pack Of Compatible Aquaport AQP-FCR3 Replacement Water Filters. 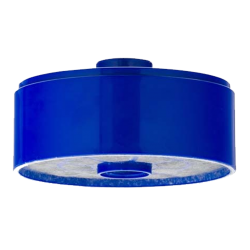 Filter replacement for jugs, Auaport TTX water coolers, and Aquaport filter bottle. Filters reduce chlorine, bad taste & odour and heavy metals - lead & copper. Features and Benefits: - Pack of 3 replacemen.. 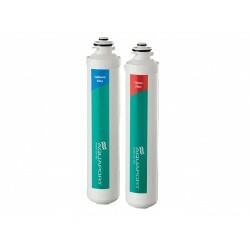 Premium Compatible Aquaport M Series replacement Single Undersink water filter cartridge. GAC Granular Activated Carbon. 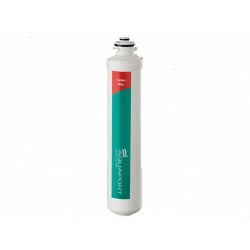 Part # AQP-RFM1-HT Replacement Filter for Under Sink Model: AQP-FKM1 Single Stage Premium Replacement Filter Cartridge - Granular Activated..
Aquaport M Series replacement Single Undersink water filter cartridge. Premium GAC Granular Activated Carbon. Part # AQP-RFM1 Replacement Filter for Under Sink Model: AQP-FKM1 Single Stage Premium Replacement Filter Cartridge - Granular Activated Carbon. Simple 1/4 turn to release an.. 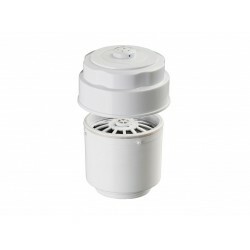 Premium Compatible Aquaport M Series replacement Twin Undersink water filter cartridges. Stage 1: Sediment Pre Filter and Stage 2: GAC Granular Activated Carbon. Part # AQP-RFM2-HT Replacement Filter for Under Sink Model: AQP-FKM2 Twin Stage Premium Replacemen..
Aquaport M Series 2 Stage Replacement Filter AQP-RFM2 Suits Under Sink Model: AQP-FKM2 2 Stage Replacement Filter. Simple 1/4 turn to release and replace, it is as simple as changing a light bulb! 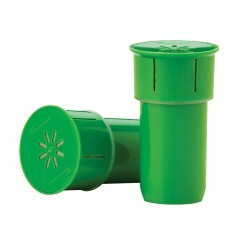 Cartridge 1: 1 micron Polypropylene Sediment Filter. 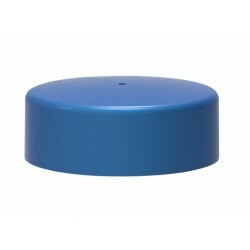 - Removes suspended particles in .. 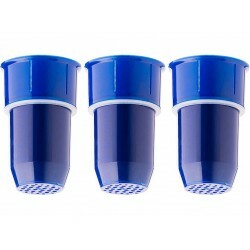 Premium Compatible Aquaport M Series replacement Triple Undersink water filter cartridges. 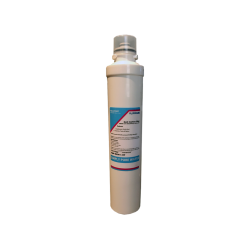 Comes with the following: Stage 1: Sediment Pre Filter Stage 2: 0.03~0.05 (micron) Ultra Fibre Membrane Stage 3: GAC Granular Activated Carbon Part # AQP-RFM3-HT ..
Aquaport M Series 3 Stage Replacement Filter AQP-RFM3 Suits Under Sink Model: AQP-FKM3 3 Stage Water Filtration System. Simple 1/4 turn to release and replace, it is as simple as changing a light bulb! Features and Benefits: Cartridge 1: 1 micron Polypropylene Sediment Filter -..
Aquaport Replacement Cartridge AQP-FCR-Q Filter your own tap water at a fraction of the cost of bottled water. 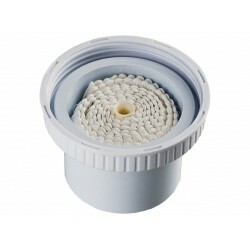 Filter reduces chlorine, bad taste and odour, heavy metals - lead & copper. 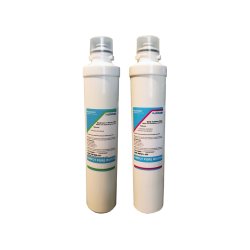 Features and Benefits: Granular Activated Carbon and Ion Exchange Resin Composition Reduces Chlori..
Aquaport Compatible Premium Replacement Cartridge to suit model AQP-FCR-Q. Filter your own tap water at a fraction of the cost of bottled water. Filter reduces chlorine, bad taste and odour, some heavy metals - lead & copper. Features and Benefits: - Assembled In Australia. - Granu..
Copatible Double Anti-oxidant filter pack AQP-FCR-AO2 Description: Compatible Filter replacement for jugs, Aquaport TTX water coolers, and Aquaport filter bottle. Filters reduce chlorine, bad taste & odour, heavey metals such as lead & copper, as well as providing an Anti Oxidant effect. ..
Aquaport Bioceramic Conditioning Water Filter Replacement cartridge AQP-FCR-DAO Bioceramic Conditioning filter replacement for Premium Digital Filter Bottle, model AQP-FBOT5. Filters reduce chlorine, taste & odour, lead and copper, increases essential minerals, increases alkalinity. ..
Aquaport Ultra Fibre Filter Cartridge AQP-FCR-DUF Enhances the capabilities of your Premium Digital Filter Bottle Filtration (model AQP-FBOT5) capability. Filters Cysts, such as Giardia and Cryptosporidium. Features and Benefits: Enhances the capabilities of your Premium Digital Filte..